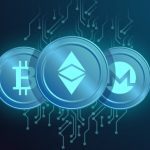 Lition, which claims to be developing a public-private blockchain with deletable data features, was in talks for listing with BitMax, a Singapore based exchange with $5 billion in volumes mostly from transaction mining. It has brought to our attention that many community members are speculating primary listing of Lition on https://t.co/ZgbxdXzvT8. While Lition in the spotlight, we are not currently talking to the team regarding the listing. Wish all the best to the Lition project. “The listing is technically ‘free’ when services such as market making are purchased. However the fee quoted was extortionate (believed to be 1 million dollars for the market making budget on Lition which is a 5 million dollar cap project). 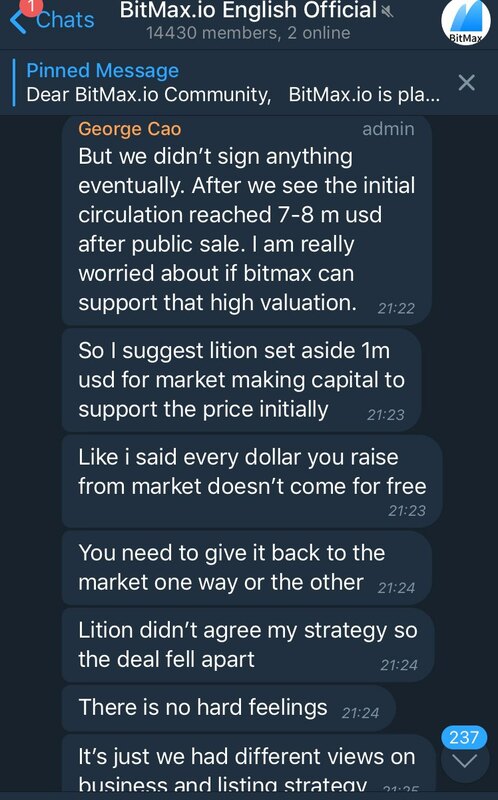 Bitmax, Liteon, $1 million market making to support the price, March 2019. A new business model has risen whereby projects tend to comply with crowdfunding exemptions to securities regulations by usually raising less than $10 million. The token is then almost instantly listed on an exchange where individuals can freely buy and sell, making it potentially fall outside securities regulations as at that point it might be similar to numerous individuals selling movie tickets as given in a prominent example by Jay Clayton, chair of the Securities and Exchanges Commission. Known as Initial Exchange Offerings (IEOs) such projects tend to have instant gains due to the very limited initial supply sold through the ICO. For Bitmax, it might also be because of “market making” to “support the price.” Whether that’s just another way of saying price manipulation, is not very clear, but none of these exchanges are regulated. That includes Binance, which has had a number of IEOs, as well as Huobi which has now joined the game. Whether this “market making” goes beyond Bitmax, is not known, but it is the wild west out there, especially in such tiny cap coins.